Chakraborty, Tanika & Mukherjee, Anirban & Rachapalli, Swapnika Reddy & Saha, Sarani, 2018. "Stigma of sexual violence and women’s decision to work," World Development, Elsevier, vol. 103(C), pages 226-238. Bhattacharya, Sukanta & Saha, Sarani & Banerjee, Sarmila, 2016. "Income inequality and the quality of public services: A developing country perspective," Journal of Development Economics, Elsevier, vol. 123(C), pages 1-17. Tanika Chakraborty & Anirban Mukherjee & Sarani Saha, 2015. "Court-ship, kinship and business: a study on the interaction between the formal and the informal institutions and its effect on entrepreneurship," IZA Journal of Labor & Development, Springer;Forschungsinstitut zur Zukunft der Arbeit GmbH (IZA), vol. 4(1), pages 1-21, December. Saha, Sarani & Roy, Poulomi & Kar, Saibal, 2014. "Public and private sector jobs, unreported income and consumption gap in India: Evidence from micro-data," The North American Journal of Economics and Finance, Elsevier, vol. 29(C), pages 285-300. 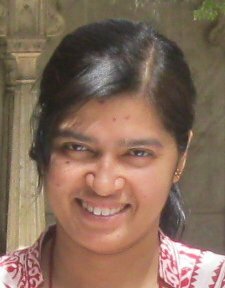 Sarani Saha, 2011. "City-level analysis of the effect of political regimes on public good provision," Public Choice, Springer, vol. 147(1), pages 155-171, April. Robert T. Deacon & Sarani Saha, 2006. "Public Good Provision by Dictatorship: A Survey," Chapters,in: The Elgar Companion to Public Economics, chapter 6 Edward Elgar Publishing.